Give yourself a Monday coffee break with this $1.00 off Printable from Biggby. Coupon is valid only on Monday March 14th. Chili's - 3 Days of Deals! Have you signed up for Chili's e-mails? Look at the great coupons they just sent me. Click here to sign up for their newsletter -- you will also receive a FREE Chips & Queso for doing so! Don McLean's American Pie Album $3.99! 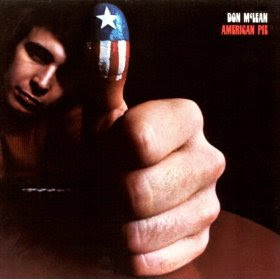 Today only you can purchase Don McLean's album American Pie on Amazon MP3 for only $3.99! Little Tikes 3-in-1 Trike for $64.99 + FREE Shipping! Today's Mamapedia deal is just $64.99 for Little Tikes 3-in-1 Trike with Free Shipping from LittleTikes.com. The lowest price I can find on this item is $79.54 from Amazon.com, so this is a pretty good deal! * Great for ages 9 months to 3 years of age-- adjusting to 4 positions to fit almost any size child! Final Price: FREE + $2 profit! Final Price: FREE with $2.50 profit! Final Price: better than half off!